The balanced spaces between the strands and the wires allow movement and adjustment as the rope is used. Here’s an overview of wire rope specifications and its many applications. Core. The center of the rope, made of natural fiber like sisal, synthetic plastic fibers or steel, supports the strands. The core improves wire rope strength and provides an anchor to help strands stay in position when the rope is under loading or bending stress. Wire. Made from steel, iron, stainless steel or bronze, the wires make up individual strands and are the smallest part of a wire rope. Various grades are available to deliver a range of wire rope strength, curve and fatigue, wear and corrosion resistance. Strand. Two or more wires are twisted in a specific pattern to form a strand. Strands are placed around the core in a spiral or helical pattern. Smaller diameter wires are used for more flexible strands. Larger diameter wires are used when resistance to abrasion is important. Lubricants. Foams, mineral or petroleum oil or grease are used during the manufacturing process to protect the components and reduce friction as the wires move across each other. Wire rope specifications identify the strand pattern, which is determined by wire size, the wires per strand and the total number of strands. Single Layer. A single wire center surrounded by six wires of the same diameter. Filler Wire. The core has two layers of uniformed-size wire around it, with the inner layer wires numbering half those of the outer layer. Filler wires are placed in the valleys between the inner and outer layers. Seale. Two layers made up of the same number of wires surround the core. The wires in the core and outer layer are the same diameter, with smaller wires used as the inner layer. Warrington. The core is surrounded by an inner layer of the same diameter wires. The outer layer has two wire diameters, alternating small and large. Combination. Two or more of the patterns noted above. Other wire rope specifications include the finish, grade, lay and, core of the wires. Wire finishes include the popular uncoated or bright high-carbon steel, zinc galvanized, zinc/aluminum coated and stainless steel. Wire lay refers to the direction of the strands in the rope. Lay affects rope operation, with regular lay, where wires run up and down, offering stability and crush resistance while lang lay, with strands appearing angled, providing more resistance to fatigue and abrasion. Wire cores can be made of steel or fiber for greater elasticity. Steel cores may consist of either an independent rope or a strand and are preferred for additional support or where temperatures are higher than 180° F.
Finding the right wire rope for the job involves assessing how much wire rope strength, fatigue resistance, crushing and corrosion resistance, and rotation resistance is needed. 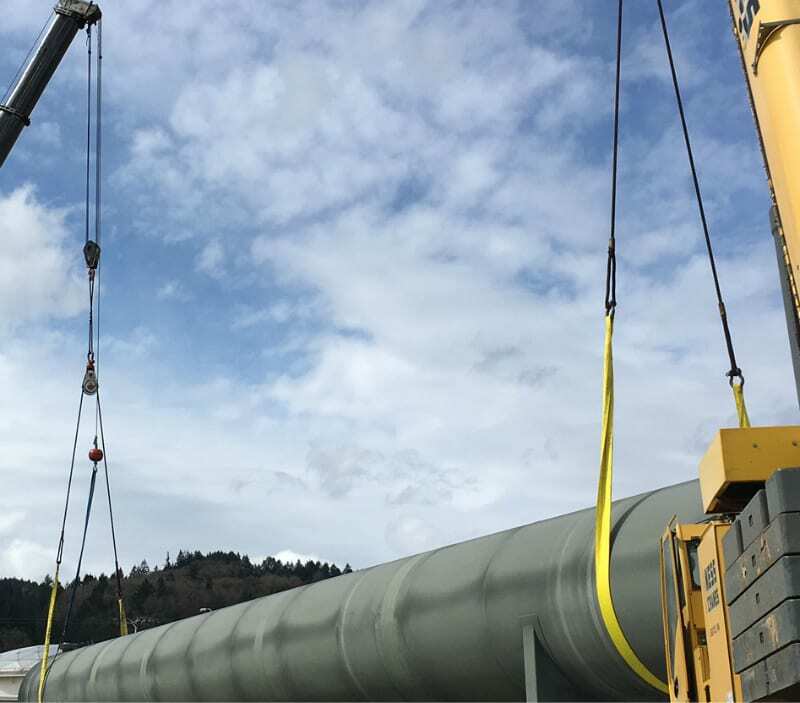 Specialty ropes are available to offer more strength and protection against rotation, crushing and corrosion during unique lifting projects. The team at Ness Campbell will review your project requirements and whether you're hoisting, hauling, grabbing, or building, we’ll find the solution to help you complete the work safely and efficiently.